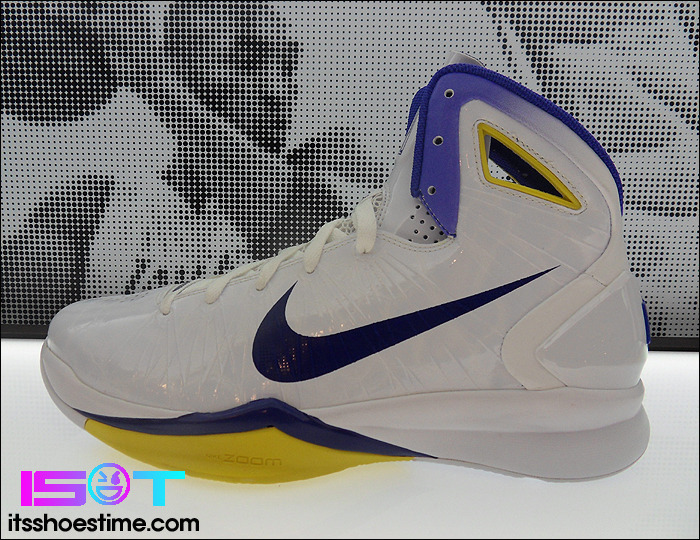 Pau Gasol's home Hyperdunk 2010 PE colorway looks like its heading to retail. It's still early in the NBA season, but is it possible that the Lakers got even better? With minimal dollars to spend in the offseason, the team managed to reel in both Steve Blake and Matt Barnes to increase the quality of their bench play. Add a core group that for the most part has played in three straight NBA Finals, and you have a team that has to be the hands down favorite for the NBA Championship at this point. 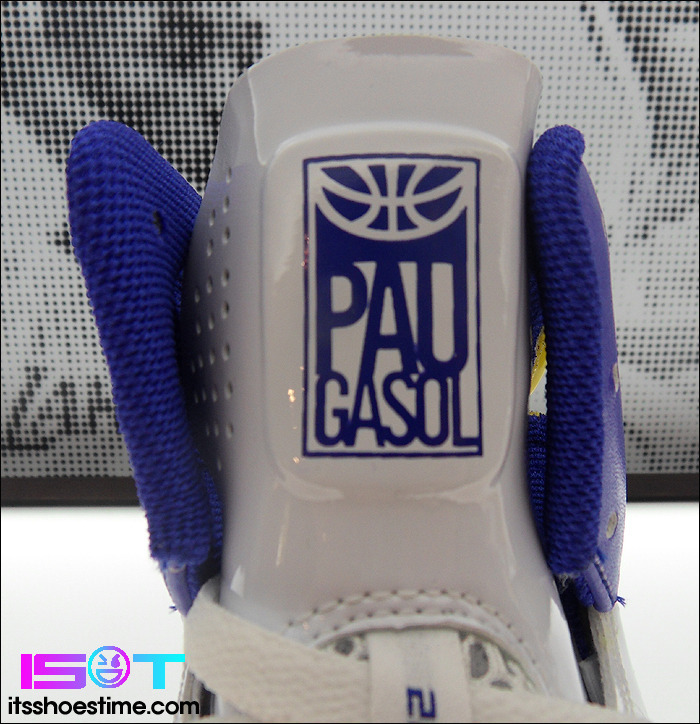 One of the reasons they're playing so well is the continued success of big man Pau Gasol. Through 5 games, Gasol is averaging 24 points and 11 rebounds, numbers that exceed his career averages. If he continues to play on this level, it's going to take a mighty effort to dethrone the champions. Pau's footwear of choice early in the season has been the Hyperdunk 2010. For home games, he's been rocking a white-based pair that looks like its heading to select retailers and House of Hoops locations. Seen below, the shoe features a white synthetic base, paired with varsity purple hits on the inner liner, Swoosh, tongue logo, heel branding and a gradient effect on the collar. Yellow works the cut-outs on the ankle, and is involved with purple in a tandem effort on the midsole and outrigger. White finishes off majority of the outsole you finish off the look. No word on an official drop date yet, but look for these to hit retailers soon.